I've installed Resilio natively from website using manual package download (apollolake), but also tried using official docker image (hub.docker.com/r/resilio/sync/), both have a 'problem' that after a short window the sync speed caps at around 1-2mb/s. After installing the docker version I happened to increase the ram allocation just trying things that might help and it did, straight way I was getting 20-30mb/s HURRAY! Well I was celebrating too soon, as the next file I tested was back to 1-2mb/sec, looking at the docker overview you can see the ram usage slow rise from 0 to ~10gb (I'd set 12gb max I have 16 installed). Finishing the transfer cleared maybe 100mb of ram and the rest just sits there. All transfers while the allocated ram is full (or around this point of 10/12gb allocated) are at 1-2mb/sec speed, if I restart the docker container then I can get full speed back until I max out the ram again at 10gb. I assume this was the issue also affecting the native install just I couldn't see the numbers as easily. I'm currently using a free account so cant submit a support ticket but would happily purchase a license if an answer is out there. 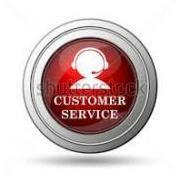 @F3Speech I have got already the similar request from the customer but unfortunately we couldn't investigate it. Could you please contact a support team and attacg logs from your device?